South Jersey has been exploding with new breweries. They have been popping up all over the place with their own unique varieties of beer for you to try. If you're planning on making a day out of a brewery tour with friends, contact Thomas Limousines to have a professional chauffeur take care of you while you have fun. Rent one of our 20 or 30 Passenger Party Buses and bring everyone with you! The more the merrier. 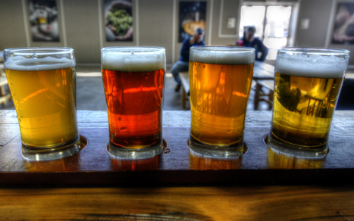 ​Here are some local breweries you should make sure to include in your tour. Rent a Party Bus to keep the party going in between breweries. Stay safe by hiring a chauffeured transportation service to get you from on place to the next.